Skyscript.co.uk :: View topic - lot of spirit's 12th shows the final bad spirit? lot of spirit's 12th shows the final bad spirit? Posted: Sun Aug 14, 2016 2:27 am Post subject: lot of spirit's 12th shows the final bad spirit? 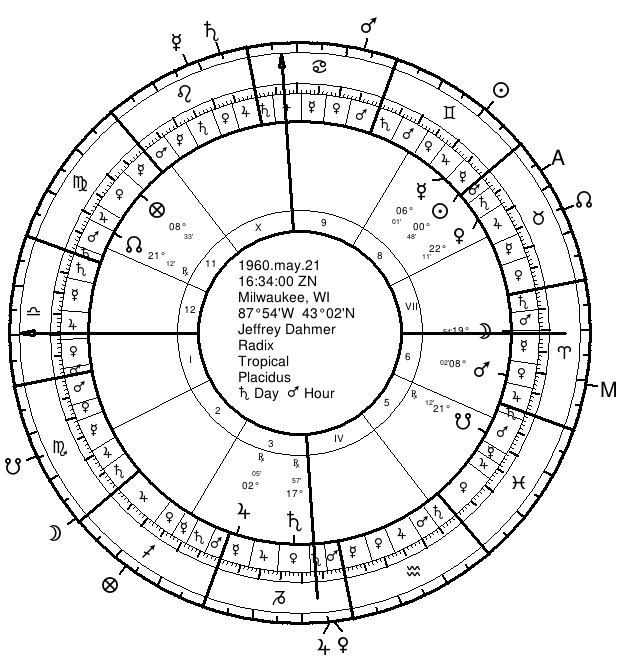 recently,i read Ancient Hellenistic and Persian Astrologer Mr Anthony's astroloy blog and i find two mass murders's natal charts from his blogs. i do not know how to translate "ma hou pao" in chinese. maybe it is "It is easy to be wise after the event� or "It is too late to come with the water when the house is Burnt down". but i still want to find the bad spirit in the background of the mass murders. here are the two charts of mass murders. the two mass murders's lot of spirit's 12th place are both mars's place. what is the divine providence? what is the God's will? what is the will of Heaven? 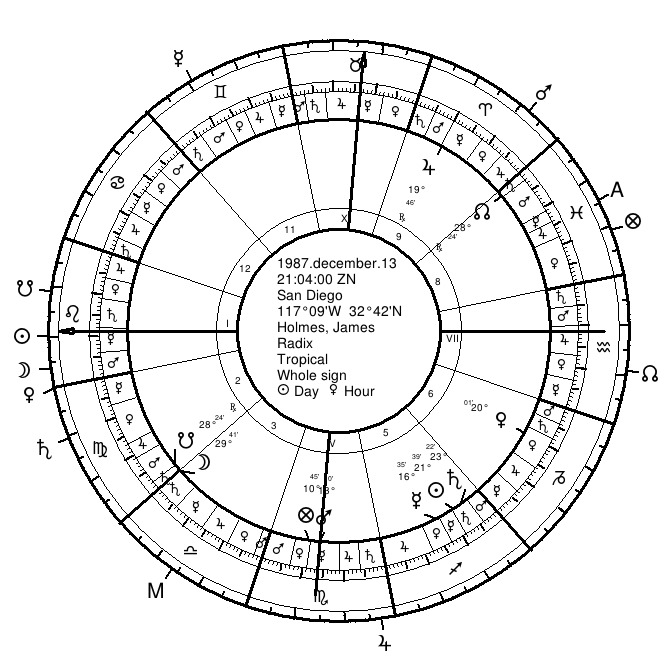 James Holmes has his Lot of Boldness at 12 Scorpio, both ruled by and conjunct within one degree (applying) his Mars at 13 Scorpio.